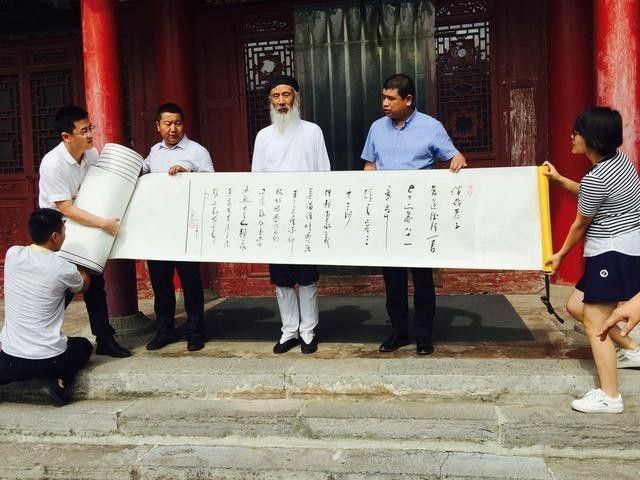 World Record Title: Tao Te Ching calligraphy scroll organised and completed by Xi' An Qujiang Louguan Chinese Taoism Culture Exhibition Area Management Co., Ltd. is the longest Tao Te Ching calligraphy scroll in length in the world. 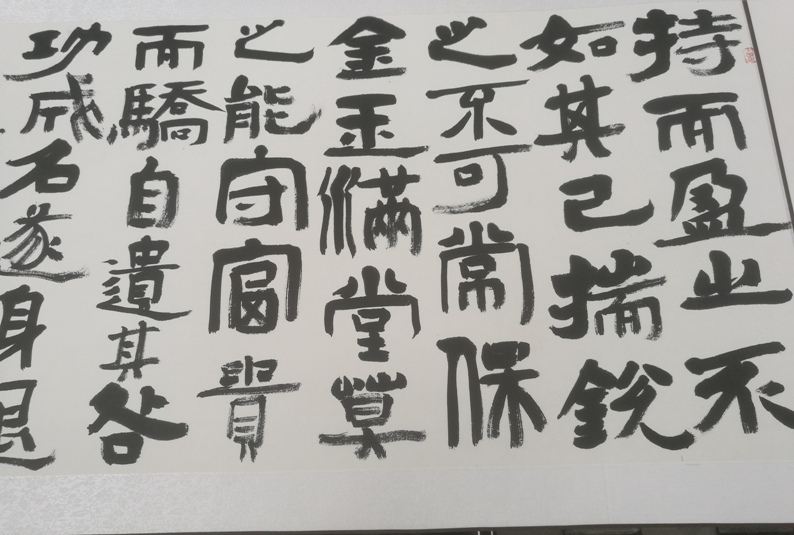 World Record Creator: Tao Te Ching calligraphy scroll organised and completed by Xi' An Qujiang Louguan Chinese Taoism Culture Exhibition Area Management Co., Ltd..
World Record Holder: Tao Te Ching calligraphy scroll organised and completed by Xi' An Qujiang Louguan Chinese Taoism Culture Exhibition Area Management Co., Ltd..
World Record Rules: 1, the longest Tao Te Ching calligraphy scroll in length in the world. World Record Value: Length of 125.03 meters. World Record Validity Period: U ntil the world record was broken. 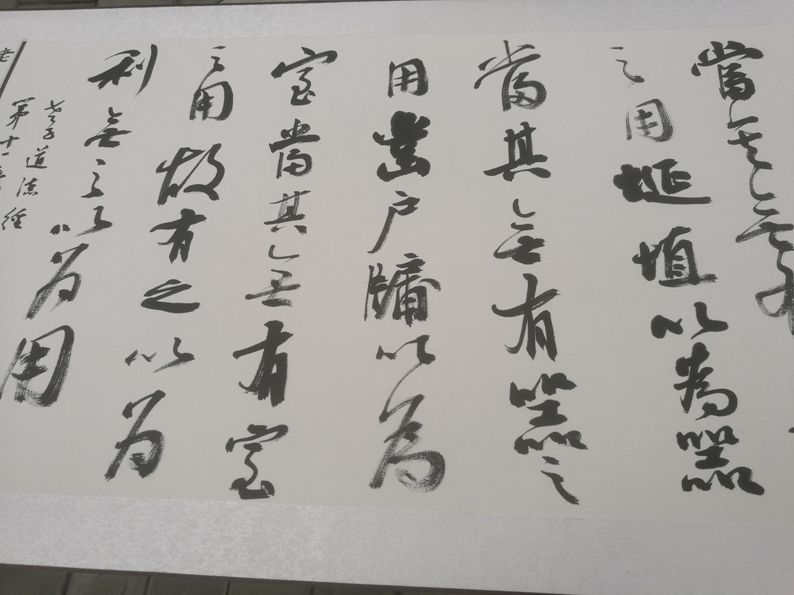 Tao Te Ching calligraphy scroll organised and completed by Xi' An Qujiang Louguan Chinese Taoism Culture Exhibition Area Management Co., Ltd. is the longest Tao Te Ching calligraphy scroll in length in the world. Verified on 8 July 2017.